See What Our Trade Partners Have to Say About Working With Us. Our kitchen project just finished (we had some ceiling issues to resolve, which took awhile) this weekend & we love the granite! It really look lovely & we enjoy it everyday. Makes me want to cook! Bob & I send our sincere thanks for your guidance & patience with all our inquiries. A big thank you to your very professional staff & especially to the installers. Here are the pictures we promised. Slabworks did a great job!!!! I just wanted to let you know how pleased we have been working with Slabworks. We saved over 50% on the cost of our quartz vs using your competitor down the street AND your timing was over a month quicker than theirs, so we were able to complete our bathroom remodel 4 weeks sooner. Your staff was a pleasure to work with. We will definitely recommend Slabworks to friends! Thank you for exceeding our expectations!
. . . Those countertops came out so awesome. They really, I mean really look good. That is probably the best looking rental unit in the whole neighborhood. Let me know how you’d like to move forward too. Thanks again Dave, they really look great. Thank you soooo much for my beautiful slab, and for walking me through the selection. So appreciate you! Sending everyone your way. Slabworks left a duck behind after the original install, and again after the repair. 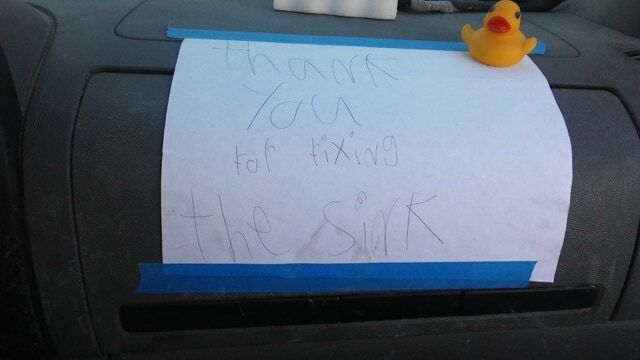 This kid did not want anyone to go without, so he returned one of the ducks. Pretty thoughtful little boy! Myself and my wife would like to express our gratitude to the owners and employees of Slabworks of Montana. Those responsible for the scheduling were of great help to us and made the whole project much easier. From the men who did the layout work to the men who installed all of the slabs, thank you for a very clean and neat job. All o your employees were very helpful and did a wonderful job. In closing we would like to say that working with Slabworks of Montana was a ver nice and painless experience, we recommend Slabworks of Montana to everyone. To everyone who contributed to creating a master bathroom vanity that we love—THANK YOU! Dave, Eric, Becky, Madison, Jeremy, Kramer, Nick, Tyler—and anyone else who did their part in fabricating our new granite countertop—enjoy some “made from scratch” pumpkin chocolate chip bread (one without nuts and one with walnuts)! 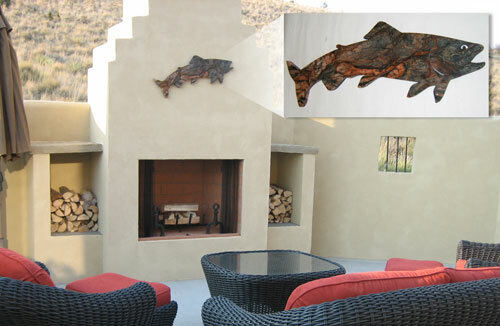 It’s been a pleasure to have Slabworks of Montana working on our remodeling project. You’re the BEST!!! I wanted to take a moment this afternoon to express my gratitude for the great job you and your crew did on the installation of the granite in my kitchen yesterday. 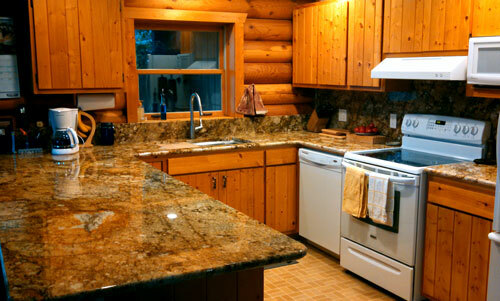 The granite is beautiful and your crew did an exceptional job on installation. You all did a great job taking the time to answer questions and going the extra mile to assist me. Thank you so such! I will tell my friends to contact Slabworks if they are in need granite. We couldn’t be more pleased with the service Jeremy provided today. He was on time, friendly, professional and clean up was perfect. He is an excellent representative for Slabworks! Every company touts that they have the best customer service. Customer service is easy when things go right—it’s when things go awry where real companies step forward with true customer service. What went wrong is not important because sometimes stuff just happens, but how Slabworks took my issue as an opportunity to excel in their commitment with their service is the real story. We are very appreciative of their extra efforts to make things right and with that, they earned respect and gratitude deserving of this company. If you are looking for a company to provide excellent customer service come rain or shine—Slabworks is my recommendation. Thank you. Just wanted you to know that the vanity counter top we purchased from you is beautiful, and your service is excellent. We will most certainly be in for our next upgrade, and will also recommend you to our friends. All went well and we are so happy with the choices which looks classed up the place. Both Dustin and Taylor did a great job and were very professional. My experience with Slabworks from the beginning until the end was awesome. Thank you for your patience and your great help. It was delightful to get to know you too. I will make sure to recommend Slabworks when given the chance. Dave is great and has a great staff working for him. A check is in the mail Monday morning. The Slabworks team did an absolutely first rate job, we couldn’t be happier with the result. Loving them….they look great! Thanks for being so helpful and getting us in so quickly! I have given you all great reviews. Thanks again. By the time I got home from work today, the granite was installed..and its beautiful! We love it. I will get a check in the mail to you tomorrow. Thanks again, for good quality and good service. We appreciate you. Thank you all so much! From start to finish, a delight to work with. Great slab, great workmanship! Thank you for your patient help! Did I tell you how much WE LOVE OUR NEW COUNTERTOPS!!! Thank you SO MUCH! It’s been way too long since I’ve been out to see you! I know you’ve done thousands of Cambria projects (so this is not as exciting for you as it is for me), We’re very happy with how it came out and love love love the blue Parys Cambria! I also wanted to thank you for all your help and patience in making this project actually happen. Thank you for making things right on the issues that we had….. and very special thanks to Richard for going the extra mile(s) on the peninsula and the backsplash. The finished project is awesome, now that we can stand back and enjoy the whole picture. It is 9:45 P.M. and Brian & Cody jusy finished the installation. Terrific Job!!!!!!!!!!! Don’t let those two get away!!!!!! Great guy’s!!!!!!!!!!! Karen and I could not be happier!!!!!! Bonnie has only seen pictures as I was only present for the installation. I have shown her pictures. She will be as thrilled as I am. The kitchen looks Great! As important, is the team assembled to do the job. All first class men; Nick Cody, Richard Erin, and Troy were fabulous! Of course I certainly appreciate your efforts as well. And that other fellow that works for you named Dave is pretty good too! In all seriousness, I was very pleased with the process. First class customer service! To the fantastic team at Slabworks……. …… Till the end of our days, truly, I will brush my teeth, cook meals and wash my hands sending gratitude and loving thoughts to your team! Your friendly greeting, knowledge and craftsmanship is A+. Now I will be surrounded by it each and every day. Thank you from the bottom of my heart. Your team is fantastic! Got your message. We are in great shape. You guys kicked ***. Designers love it. Furniture is moving in now. Punchlist is started and owners arrive very soon. Crazy busy. All good. Will be in touch soon. Thanks again for all help and input. I WILL RETURN! Just wanted to thank you and everyone there at Slabworks for the wonderful granite counter tops. The guys finished the job last Wednesday and we could not be happier. We really appreciate all that everyone did to help make out kitchen beautiful. Mike and I are thrilled with our choice of countertop materials, and we know that they will look great when completed and caulked into place. Richard and Nick are really gentlemen and I admire Richard’s character. He is polite, very helpful, steps right up to be honest, he is a gentleman, and really represents you and your company well… Just as you do! Thanks again Dave and I know we will be in touch soon.